“Not a fan?” Bleys asked. Bleys laughed and nodded. “We each set the rules for the games we play, eh? But I did like what I worked up for the last election . . .
Hello, my name is Mike. I am running for CSM. I am a normal player who does the same sort of things you do. I am not some kind of fringe nutcase. I wrote this letter and sent it to you myself because players are important to me. Vote for me for CSM. Well, the changes to the election have been announced. Candidacies are starting to rev up. If you have questions you would like answered send me a comment or an in game mail. I will need people to support me in the primaries, Gotta get the 200 or I am not even in the race. Of course if I cannot find 200 people to support me I don’t deserve to be in that race. 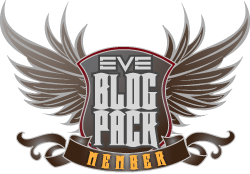 This entry was posted in Uncategorized and tagged CSM, eve online, In character, Lessons, Mike. Bookmark the permalink. I still think you should let me grease some palms. Isk is what makes the world go round. Mandatory voting would assure a greater turnout and basically force players to get inforced in the elections more. I’m open to the idea as long as people have the chance to cast an abstain vote. I am just not sure about anything mandatory in a game. Mass blocks using their organisation and numbers to influence the elections is nothing new. Also, nothing prevents other blocks from doing the same or rallying players to prevent this. Vote Mike and blob to oppose voting blocks! Couldn’t even find a Jita speakers corner post announcing your candidacy and no small banner calling attention to you running on your blog? I only knew you were running because it was mentioned by Xander, Poetic or any other of a dozen blogs. As I told Xander in the interviews . . while I understand how some people want to start the campaign as soon as possible I prefer to do it by the schedule set by CCP. These posts could be considered a start but I will formally announce my candidacy when the time is right. I agree with you in that none of the above or abstention should be one of the choices. Even if there ARE characters called None of the Above and I Abstain. Seriously.